The first time you visit an audiologist can be a daunting experience. After all, while most of us look after our bodies, eyes and teeth, it’s only a surprising few that treat their ears in the same way. And that makes the audiologist’s office a strange place to the majority of the population. Want to know what happens beyond closed doors? Well, we’re going to explain that right now, so read on to find out what to expect during your hearing test. As with any other medical appointment, your visit to the audiologist will begin with checking in at reception. You will be greeted and asked to take a seat, and then it’s a simple case of waiting for your name to be called. Once you have made your introductions, the audiologist will ask you about your medical history. It’s important to be open and honest, here, as there are many health issues that can affect your hearing and your audiologist must understand the whole story. Expect questions on everything from your current medications to general family health. Next, it is likely you will receive a gentle physical examination. It’s nothing to be worried about, all your audiologist will do is use an otoscope to observe and investigate your ears. They will be on the lookout for things like blockages, wax build ups, and even check you out for polyps. It is a pain-free examination that doesn’t take long at all, assuming there is nothing strange going on in your ears. This test involves the audiologist playing a range of different noises. Each has changing pitches and volumes and your task will be to press a button every time you hear a sound. This test assists the audiologist isolate the frequency ranges you struggle with and that are causing you problems. We get our ability to hear from the small bones in our ears vibrating. In the bone conduction test, the audiologist uses a vibrating probe, placed behind the ear, to conduct vibrations in your bone. The idea here is for the audiologist to work out which vibrations are being detected by your inner ear. It is completely painless, so no need to worry about this test. The audiologist will determine whether it is being detected by your inner ear. This is a simple test that works out how well you can distinguish speech on its own, without being accompanied by anything like visual cues. This test involves a plug being placed into your ear. Once it is in, a machine applies a gentle pressure to your ear canal, and it helps the audiologist spot problems such as fluid in your middle ear. Again, this is not painful at all. Finally, audiologists uses the tuning fork test to work out if your hearing problems are mechanical in nature - related to the workings of the ear - or if it is nerve-related instead. 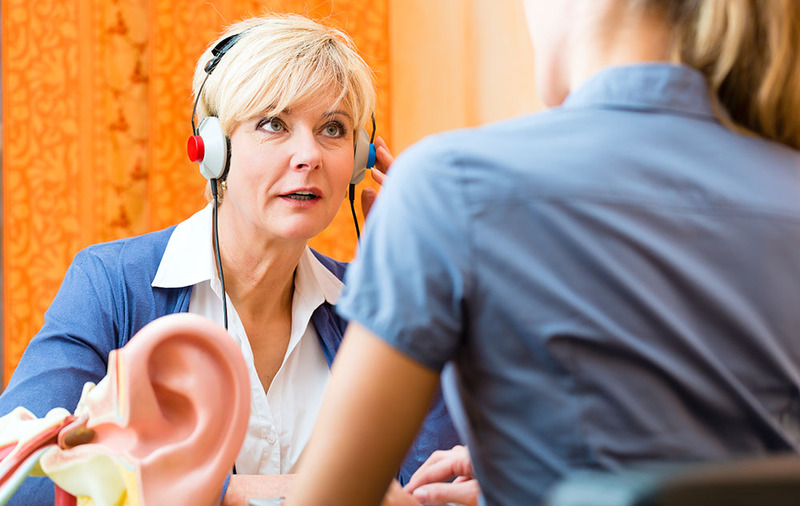 We hope this guide gives you a few ideas on how smooth and easy a hearing test can be. Why not book your appointment today?